Sherrin Partners is pleased to announce that we have merged with Watermark Financial Services. We are excited to welcome Michelle Millsom, Director of Watermark Financial Services, who is an excellent addition to the Sherrin Partners Board of Directors and will who will operate the Sherrin Partners office in Maroochydore on Queensland’s Sunshine Coast. Michelle will continue to be supported by her Client Service Manager Greg Stray and Office Co-Ordinator Sharon Smith, both of whom have supported Michelle in delivering excellent advice for a number of years. We are thrilled to be joined by Michelle, Greg and Sharon and Sherrin Partners will benefit greatly from the professionalism, dedication and knowledge that they bring to our team. Michelle commenced her career in the financial services industry in 1999 in a client services role, completing her qualifications and gaining invaluable experience along the way to becoming a Financial Adviser. 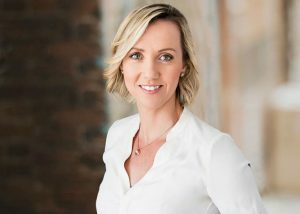 In 2004, Michelle started Watermark Financial Services, which has developed an excellent reputation on the Sunshine Coast for delivering outstanding service and excellent outcomes for clients. Michelle, Greg and Sharon’s values align closely with Sherrin Partners, with a focus on providing personalised strategic advice to deliver excellent outcomes and create enduring relationships with our clients. The shared vision of the two firms was a key driver motivating the merger and we believe the benefits that both business will enjoy from our union will flow through to our clients. Sherrin Partners Services Pty Ltd CPD Policy v1 Hello world!